MachNation has found that very few IoT application enablement platforms (AEPs) provide best-in-class IoT data visualization and dashboarding capabilities. This leaves enterprises and service providers without a way to quickly visualize IoT asset states and associated ingested data using a productized and easily deployed solution. In this short article, we define IoT data visualization and dashboard; provide recommendations for selecting a top-quality solution; and briefly discuss 5 visualization and dashboarding vendors. According to MachNation’s IoT platform functional architecture (freely available for download), IoT data visualization and dashboarding capabilities are included in the Application category (shown in red on our functional architecture block diagram) as either the Operator User Interface (UI) or IoT Application functional blocks. The operator UI provides the day-to-day interface for platform operators for functions including device management, data management, reporting, and analytics. An IoT application is any piece of contained logic running on the IoT platform or directly integrated to the IoT platform. An application could contain customer-, operator-, or administrator-facing UIs, or function as a self-contained service, providing any type of relevant data manipulation or device manipulation. An IoT data visualization solution provides multiple data views, such as graphs and tables which enable a platform operator to view historical or real-time platform-ingested data observations. A dashboarding solution provides a user-customizable aggregate view of various widgets, with each widget representing either a comprehensive or limited visualization view. MachNation recommends that enterprises requiring strong data visualization and dashboarding capabilities should consider integrating a high-quality solution with its chosen IoT AEP. Enterprises should evaluate 4 key attributes of visualization and dashboarding solutions. There are many visualization and dashboarding vendors in the market. MachNation provides descriptions of 5 typical visualization and dashboarding vendors. DataDog: DataDog offers an enterprise-focused visualization and dashboarding solution with pricing available online. With good developer documentation, large enterprise success stories, and a free 14-day trial, DataDog offers enterprises a well-supported and used solution. DataDog does not support an online community as an open source solution might, but it provides “office hours” where users can chat with DataDog engineers about various open source DataDog projects and a more traditional way for customers to get help from DataDog engineering support team. Google Data Studio: As part of Google Analytics Solutions, Google offers Data Studio for visualization and dashboards. With a free trial, a gallery of downloadable sample reports, and prebuilt data connectors, Data Studio provides an enterprise-ready solution for IoT visualization and dashboarding. Grafana: Grafana offers an open source IoT visualization and dashboarding solution. While possibly requiring more custom development than proprietary solutions, Grafana offers a bevy of plugins and tools to help enterprises design a visualization solution that fits their requirements. Grafana has strong community support and ample developer documentation to aid in the customization and implementation process. Enterprises requiring a higher level of SLAs and ongoing support can use Grafana Enterprise. Microsoft Power BI: Microsoft offers Power BI, an enterprise visualization and dashboarding solution, in both a cloud-based versions for desktop, mobile, and embedded, and an on-premises version called Power BI Report Server. Microsoft offers free trials of the solutions, pricing online, and ample developer support through an online community, guided learning, documentation, and a developer center. In addition, Microsoft offers various Power BI solution templates by industry sector and enterprise department, providing some nice examples of what a user or developer can accomplish with Power BI. 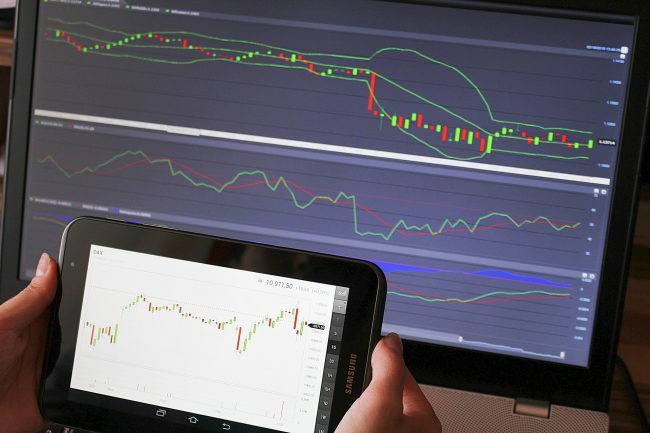 SignalFX: SignalFX is quite similar to other proprietary solutions in offering an enterprise-focused visualization and dashboarding solution with pricing provided online. With fairly good developer documentation; a large number of integrations to Docker, Kubernetes, and various AWS visualization solutions; and a free 14-day trial, SignalFX offers enterprises a well-supported solution. SignalFX offers a moderated customer community where users can collaborate with each other and SignalFX staff. MachNation benchmarks IoT platform microservices in its MachNation IoT Test Environment (MIT-E). For detailed benchmark comparisons of IoT platform vendors’ visualization capabilities, please see MIT-E.
MachNation has published its 2018 IoT Application Enablement ScoreCard available to MachNation clients. If you have questions about visualization requirements for IoT solutions, visualization vendors, or IoT AEP vendors, please feel free to contact us.